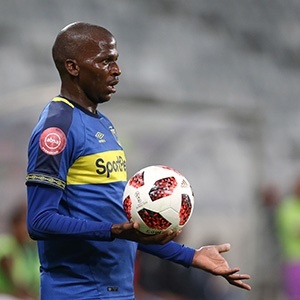 Cape Town - Cape Town City coach Benni McCarthy believes Thamsanqa Mkhize and Kermit Erasmus have the quality to be selected for the Bafana Bafana 2019 Africa Cup of Nations (AFCON) squad. City have had a stellar season in 2018/19 and are mathematically still in the running to win the Absa Premiership title. Having already won the MTN8 Cup earlier in the campaign, Mkhize has seemingly more than proven his worth in the eyes of McCarthy. Meanwhile, Erasmus, who the Citizens signed in December, has also produced some sparkling displays and has managed three goals in 10 Premiership appearances. "Thamsanqa Mkhize is so reliable, a pleasure to work with, he's already got my vote, one of the most disciplined players I ever worked with in my coaching career," he said as quoted by KickOff website. "If I can have 20 more players like him, we would even compete in the Premier League. I think his place in the Bafana Bafana team is guaranteed, I don't see anyone better than him in that position right now (right-back), top player that one. "I'm so heartbroken for Thabo Nodada, who got a serious injury and is completely out to play in AFCON, he would've been considered no doubt about that. Also, I think if Kermit Erasmus can continue with his form, I can see him in that squad." The Africa Cup of Nations tournament is set to take place in June and July in Egypt. Meanwhile, the draw for the competition takes place at the Giza Pyramids and Sphinx on Friday, April 12.